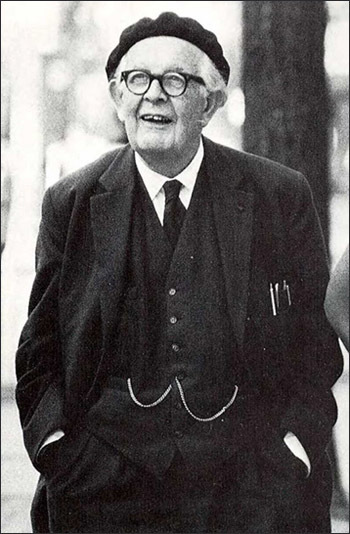 Jean Piaget was a psychologist and philosopher whose theories challenged the status quo of the time and created a new area of research in the field of child development. Jean Piaget was born in Neutchatel, Switzerland in 1896. He was the eldest son of Arthur, a professor at the University of Neuchatel, and Rebecca Piaget. Piaget began showing his interest in Natural Sciences at a very young age, publishing a paper on the Albino Sparrow by the age of 10 or 11. By his early 20s he had already published several scientific papers and was becoming recognized in the field of Zoology. Piaget continued his study of Natural Sciences at the University of Neutchatel, receiving his PhD in Zoology in 1918. After graduating, he spent some time studying Psychoanalysis at the University of Zurich before travelling to Paris in 1920 to work with Theodore Simon , a colleague of Alfred Binet and co-developer of the famous Binet-Simon Intelligence Scale. This scale was designed to measure the intellectual development of young children, focusing mostly on those between the ages of 3 and 12. Jean Piaget was responsible for administering this test to French children, and it was during this time that he began to show an interest in the cognitive and intellectual development of children. From his observations, he recognized that the thought patterns of children are different from those of adults. This realization prompted Jean Piaget to continue studying children, including his own, which eventually led to the formation of his Stages of Cognitive Development Theory. Jean Piaget: "I'm a Genetic Epistemologist"
When asked, he identified himself as a "Genetic Epistemologist". Epistemology is a branch of Philosophy that examines the origin and nature of knowledge. What are the varying degrees or types of knowledge? Jean Piaget's interpretation of "genetics" is more accurately described as "biological processes". In other words, he believed that knowledge is a direct result of the interaction between a person's experiences and their stages of biological development. 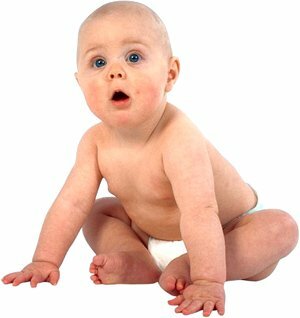 For example, an infant's biological processes (or stage of development) does not allow him to understand that an object continues to exist even if he cannot see it. However, a toddler has matured enough - or developed the necessary processes or "schemas" - to now know that when a toy is put in a cupboard it still continues to exist and can be retrieved when desired. So, Piaget was not only interested in the nature or origin of thought, but he also wanted to understand how it develops and what role biological processes played in this development. He proposed that all humans must pass through a series of biological stages - one building upon the other. His use of the word "genetics" is not referring to the specific DNA of individuals, but of the nature of human beings in general and the connection between biology and socialization. 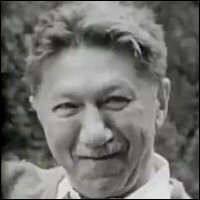 Founder of the International Center for Genetic Epistemology in Geneva in 1955. Jean Piaget's work with children in the 1920s led him to believe that the popular ideas held by experts were incorrect. 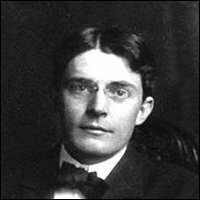 Up to this point, behaviorist theories were widely accepted and people such as John B. Watson claimed that children could be "programmed" to behave a particular way through rewards and punishments. Parents could ensure desired behavior by controlling their children. 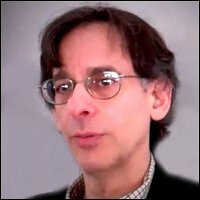 Simply put, Behaviorists believed that children were blank slates and parents could create the person they wanted by rewarding "good" behavior and punishing "bad" behavior. But, as Jean Piaget began to observe children, he noticed some things that made him question this idea. He began to realize that children are responsible for building their own knowledge - or thought processes that he called Schemes or Schemas. Basically, he stated that a child's development is based on interaction with his environment. The child then takes the information he has learned from these experiences and uses it to build segments or schemas of thought that will determine how he sees the world and how he interprets future interactions or experiences. 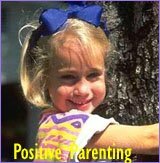 Therefore, the information that a child receives from his parents will influence his thought processes and behavior, BUT a parent cannot control how a child will use this information to build these processes. As a parent, I can give my children information, but it is their job to use that information to build their personality. 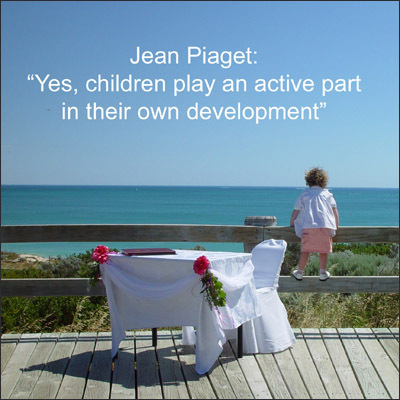 In other words, Jean Piaget recognized that children play a part in their own development. This was a shocking idea. Remember, for decades parents had been told that a child's wants, needs, or desires were irrelevant - if a parent programmed a child with the correct information, everything would go as planned. But, this didn't always work. Despite the most authoritarian parenting, some children did not become the perfectly well-behaved people that Behaviorists intended. John Watson and his colleagues believed that a child was a mini-adult and should behave as such. Inappropriate behavior was a result of "bad" parenting - or lack of parental control. But, then along came Piaget with a revolutionary observation: children actually have a mind of their own. You can imagine what this did to the field of parenting. Piaget Adds Fuel to the Fire by Claiming that Children Don't Think as Adults! And, since Jean Piaget had experts in an uproar, he added fuel to the fire by claiming that maturity played a part in cognitive and mental development. Some children were just not capable of certain thought processes because they hadn't yet reached a high enough level of development or maturity. This idea completely shattered the popularly held beliefs of the time. 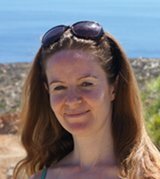 Children are not mini adults - the way they think, the way they process their experiences, and the complexity of their cognitive processes are very different from adults. Piaget simply said that you can't treat a child like an adult because his is not an adult. 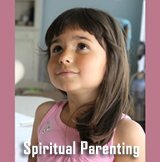 He is a child, and by understanding the age related stages of development, parents can help children build the skills, abilities, and thought process needed to become a healthy adult. The keyword here is "HELP" not "CONTROL". Jean Piaget was a constructivist. 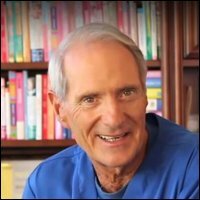 He believed that personality is "built" and a parent can give a child the tools he needs to construct his own unique personality; however, it is the child's job to do the actual building. And, the complexity will increase as the child matures. 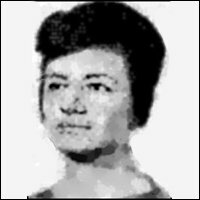 The problem with the behaviorist theory is that it did not teach parents to give their children what they needed to achieve their full potential - or Maslow's "self-actualization". This was why many parents were noticing that their children "obeyed" when there was a fear of punishment or the hope of a reward, but when parental control or the rewards and punishments were removed, the desired behavior did not always remain. In other words, a child behaved because of external controls, not because he had built an internal "schema" or understanding. The child is behaving the way the parents want - not the way he wants. Jean Piaget's idea that society (parents, caregivers, educational system) should create "men and women who are capable of doing things, not simply repeating what other generations have done" implied that children should be treated as human beings rather than robots and that they should be allowed to think for themselves. 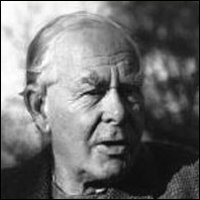 This was mind boggling to those who thought "children should be seen and not heard"; but, Piaget believed that if children were not involved in the process of development - if they did not pass through the levels of development, building on the information learned at each stage - then they would not become healthy, self-sufficient adults. Jean Piaget also addressed the "nature versus nurture" debate by stating that development is not either one or the other, but a combination of both. Genetic predispositions (the idea that all humans are "wired" to move through a series of invariable stages) work together with environmental and social factors to determine cognitive and intellectual development. Although many critics rose up against Piaget's theories, his ideas called into question the Behaviorist parenting model and marked the beginning of a more humanistic approach. 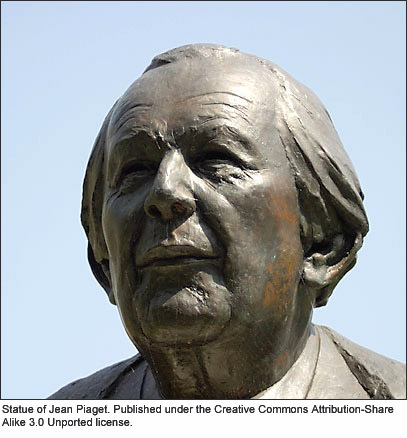 Jean Piaget is one of the most well-known experts in the field of parenting and child development. 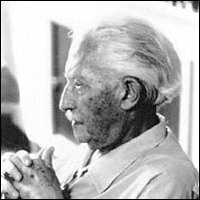 His theories and observations were a diversion from the behaviorist beliefs that had dominated for so long and inspired a new interest in the cognitive and intellectual development of children. Jean Piaget made some interesting observations while administering and marking the Binet-Simon Intelligence Test. When working with younger children, he noticed that they consistently gave wrong answers to questions that older children or adults answered correctly. This led Jean Piaget to believe that young children's cognitive processes and thinking patterns were different from those of adults. 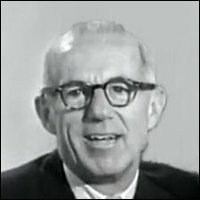 Remember that earlier researchers and psychologists viewed children as mini-adults, so Piaget's idea that childhood is a separate stage of development and should be recognized as a unique period of a person's life was quite remarkable. But, it could not be denied that children answered questions differently depending on their age. Jean Piaget was so fascinated by these observations that he became very interested in understanding how children acquire knowledge - and how this knowledge grows or builds throughout childhood. Piaget also noticed that children's ability to understand their environment seemed to be connected to their level of maturity. Basically, they didn't act like adults because they weren't adults. They weren't capable of thinking like adults so, therefore, they were unable to behave like adults. Simply, Piaget's theory stated that there is a difference between children and adults. So, children should not be treated as adults until they have acquired all the knowledge they need - through their experiences and interactions with their environments - to be able to handle such expectations. While this idea seems basic, it was completely different from other theories and really opened up a whole new area of research in child development. Forget the "Nature versus Nurture" debate - Piaget said there is no need to argue because both sides win. He took a more holistic or all-encompassing view that nature works together with nurture when it comes to child development. He believed that to answer the questions about knowledge - where it comes from, how it is acquired, and how it grows - you have to look at both environmental and genetic factors. Cognitive and intellectual growth depends on biological growth, and the reason children cannot understand certain things at particular ages is because there are genetic constraints preventing learning. In other words, there are some things that children cannot do until they have the physiological or psychological maturity to do so. Jean Piaget proposed that children "construct" knowledge and understanding by using information that they have acquired when experiencing or interacting with their environment. He called these "constructs" or categories of thought "schemas". He suggested that children pass through a series of stages in the exact same order, and moving from one stage to the next depends on maturity and biological or psychological development. At each stage, new schemas are formed - or original ones are increased. 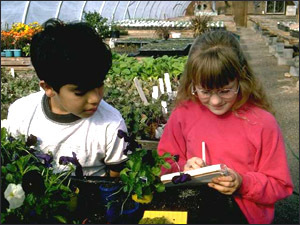 In order to build more complex schemas, children must interact with their environment. So, children's experiences work together with physical and intellectual development to build knowledge and understanding. Based on this conclusion, Piaget suggested that nature and nurture are unquestionably linked. Jean Piaget also observed that a parent or caregiver can challenge a child to develop his capabilities but they cannot push him from one stage into another. In other words, no matter how many flashcards you put before your toddler, they will not learn to read until they are mature enough (or intellectually capable) of doing so. Basically, if a child is not ready to learn to read, they will not be able to learn. If a five year old is struggling with addition facts, it is not because he is "stupid ". He may just not be ready (or capable) or learning such material. Try again in a few months and he may catch on easily. The idea that cognitive abilities may be connected to biological development was revolutionary and has had a great impact on the education system worldwide. Jean Piaget is known for introducing a number of terms or ideas that helped increase the understanding of child development. This simply means that a person will adapt to their world or environment based on the information they receive. Assimilation is always the first choice because it requires very little change. A person takes information from their interactions or experiences and fits it into an existing knowledge base. This could even mean changing the information a little bit - or manipulating it to fit into existing ideas. Accommodation involves actually changing or replacing existing segments of understanding based on new information. For example, if a young child identifies a bird by the fact that it can fly, then in his mind, everything that flies is a bird. So, when he sees an airplane or a kite for the first time, he may call it a "bird ". Even though there are features of both an airplane and a kite that prove they are not birds (ie. A plane doesn't flap its wings, a kite is attached to a string) the child will manipulate what he is seeing and experiencing to make it fit into an existing knowledge base. However, an older child is mature enough to recognize these discrepancies and will construct a new area of thought to accommodate this information. Similarly, assimilation can have various degrees of complexity. For example, a child may visit a zoo where he sees ostriches. If the only birds he has ever seen are robins and sparrows, an ostrich will not initially fit into his knowledge base. After all, ostriches are large and do not fly. But, rather than constructing a new area of thought - or using accommodation - he will make his existing schema more complex so that "birds" now include "ostriches". This simply refers to a child's ability to group objects together based on similar features. It is very basic and usually neglects to recognize "differences". For example, if a ball is round then everything that is round is a ball. Or, like the earlier example, if a bird flies then everything that flies must be a bird. This is more advanced than classification and, according to Piaget, does not usually appear before the age of seven. Basically, this is a person's ability to recognize sub-sets within larger sets. For example, there is a class of objects called "cars", but there is also a class of objects called "vehicles or transportation". Therefore, "cars" is a sub-set of "vehicles or transportation". Not all "vehicles" are "cars" (because there are also trains, trucks, boats, buses, etc. ), but all "cars" are "vehicles". Or, not all "animals" are "cat" but all "cats " are "animals". According to Piaget, this appears between the ages of 7-12 and involves a child's ability to recognize that objects stay the same even though they look different. Or, in more complex terms, realizing that the properties don't change just because the shape or color changes. For example, a lump of clay is still clay even when it is formed into a sculpture. If one young child is given a larger cookie and the other is given two smaller cookies, they will automatically perceive that the child who received the two cookies was given "more". Young children are not capable of understanding that the mass of one larger cookie is exactly the same as two smaller cookies. All they notice is that one child received only one cookie while the other was given two. This is why you can "fool" a young child into thinking they have more simply by breaking a cookie in half. They do not understand that one cookie does not become two just because it has been broken. It still equals one cookie. This is the ability to look at multiple features of an object rather than focusing on just one. Now children will know that two cookies do not necessarily mean "more", but you must consider both the "size" as well as the number. Decentration also involves the ability to multi-task or be able to pick up an activity where it was left. For example, if a child is working on a task and you ask him a question, he is able to stop, answer your question, and then return to what he was doing without becoming lost or unfocused. Decentration is also important in being able to understand the meaning behind symbols. A young child will memorize math facts, but an older child will know "why" 5 minus 2 equals 3. His mind is able to look at multiple aspects and understand the operations. Young children will recognize only the numbers, but older children will be able to notice both numbers and symbols and also understand what they mean. Young children often believe that they are the center of the universe and the world revolves around them. According to Jean Piaget, this is not selfishness. 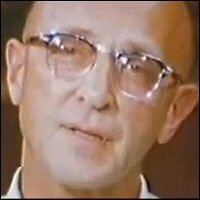 He observed that until children reached a certain level of physiological development, they were unable to see things from another person's perspective. They aren't being selfish because they simply do not understand that more than one point of view exists. It is not that they have to be "right" - they just do not comprehend why someone is not seeing things the same way they do since that is the only "reality" that exists. As a child becomes older, they acquire the ability to see things from another's point of view and they learn how to adapt their thinking patterns - or schemas - accordingly. This is when a child will begin to develop compassion or empathy and will be able to find more complex solutions to problems. 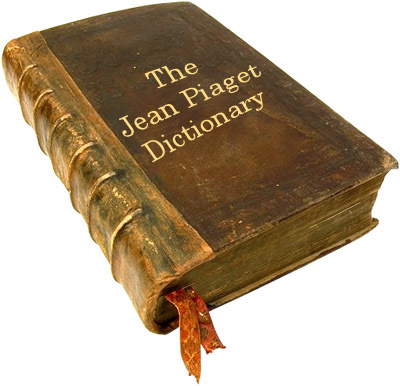 Piaget used the word "operation" to refer to a child's ability to work things out in his mind. 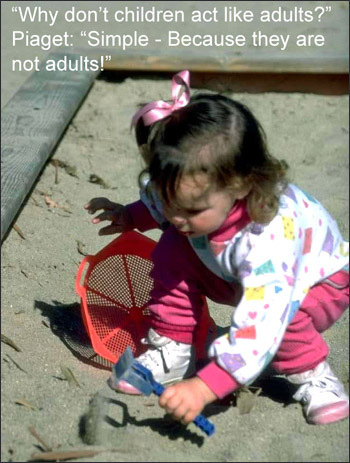 Young children need a very "hands on" approach to learning. Everything is based on the five senses. For example, a toddler will not understand what the number "three" means. However, if you hold up three fingers or count out three crayons, they will be able to associate the word with a particular quantity. Older children and adults can process a lot more in their heads because they have the ability to think abstractly and do not need concrete evidence. Schemas are representations in the mind that are built using information obtained by interacting with the environment. Piaget was a constructivist, so he believed that knowledge is "built". Think of all the information as building blocks that are used to construct a schema or area of thought. These areas of thought make up an individual's perceptions, ideas, actions, and understandings. The more schemas a person has - and the more complex these schemas are - the more developed his cognitive and intellectual abilities will be. A child with very small, simple schemas will think very concretely - black and white, matter-of-fact, egocentric. An older child who has multiple and more complex schemas will be able to see things from various perspectives and can think abstractly. Piaget believed that everyone passes through a series of stages. These stages must be experienced in order and no stage can be skipped. This is where the "genetic" aspect of his theory comes in to play. As mentioned earlier, Jean Piaget did not discuss the individual DNA of each child. His reference to genetics was more a general term for the biological process that every human being must experience in order to develop properly. It is expected that every person will learn how to walk. If they do not learn how to walk, there is an indication that something may be wrong. The cause of this inability can vary, but the process of normal development includes walking. Similarly, a child cannot run before he walks. In the natural development of motor skills, walking comes before running. In In Piaget's theory of development, he suggests that certain levels of development must be experienced. It is a natural progression, just like learning to walk. If a stage is not fulfilled properly then future actions can be affected. Just like a person who cannot walk will never be able to run, a child who does not develop the ability to classify objects will not be able to use class inclusion. According to Piaget, one milestone is built upon the foundation of previous abilities - or more complex thought is built upon the foundations of an existing thought base - so one stage of development must be passed through before another can be entered. Jean Piaget proposed that development is a series of progressive stages. The transition from one stage to the next is not always smooth (may be experienced in spurts or sudden changes) and the exact age at which each child moves through the stages can vary. For example, a child generally enters the third stage by age 7; however, some children may be ready for this transition at age six while others may be 8. At this stage, children do not have a lot of mental representations (schemas) for objects or experiences so intelligence is built largely through motor interaction with their environment. They will touch everything, put objects in their mouths, crawl, climb, roll, and explore. They will begin to understand that they play a role in their environment and can act intentionally. For example, a baby will learn that he can shake a rattle to make a noise or hit a button to start a musical toy. Object permanence is a main accomplishment of this stage and is a necessary foundation for future stages. During this stage a child will learn to use language to express his needs and wants, although he is still egocentric and has difficulty understanding the viewpoints of others. The pre-operational child will classify objects by a single common feature based on his schemas. For example, a child may pile all blue objects together regardless of their differences. A blue ball, a blue crayon, and a blue toy car all belong together because they are blue. Or, all square blocks belong together, even if they are different colors. Since the pre-operational child has some mental representations, he is able to understand when you talk to him about a "bus" even though there is no bus in sight. He is also able to think symbolically and use objects to represent his thinking. For example, a pencil can become a magic wand or a tricycle can become a horse. 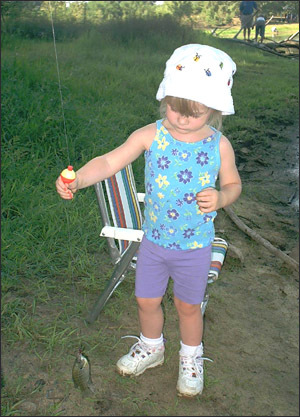 Children can demonstrate some level of conservation, depending on age, and will show increasing ability to classify objects based on various factors. Class inclusion and conservation allows the concrete-operational child to use logic and reason. He is also able to see different points of view and can use his deductive skills to adapt to alternate perspectives. This is the stage of development that carries a child into adulthood. At this point, children are able to think both logically and abstractly. They can now think about the future, consider hypothetical situations and consequences, and solve complex problems that impact both themselves, others, and the world as a whole. While Piaget's theories were very influential in changing the popular parenting views of the time, he did come under a great deal of criticism. 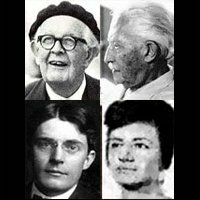 Many researchers, both then and now, argue that Piaget's experiments and studies were not very scientific. They feel that he used too small of a sample and focused only on affluent, well-educated children. Because he did not consider the language, cultural differences, education level, and personal experiences of his subjects, many believe that his conclusions are not universal - or cannot be generalized to ALL children. While Piaget's studies do support his observations, some experts believe that he did not structure his experiments in such a way to exclude alternate explanations. In other words, there could be other reasons for what Piaget found. Researchers also argue that Western parents all tend to place specific demands on their children at the same age so it may only appear as if there are stages of development when in fact it is simply a cultural occurrence. Would the observation of children in other cultures lead to a different division of the stages - or even an addition or elimination of stages? Perhaps the greatest criticism of Piaget's theories is with the rigidity of the stages. There is a lot of research to support the idea that Piaget's stages may not be as clear-cut and concise as he indicated. 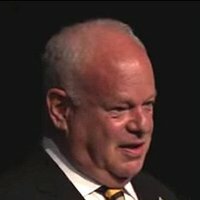 Some studies have even shown that he may have underestimated the ability of children to understand "beyond their years". Some children can manage concrete operations well before the age of 7 and some people never attain the ability to think abstractly, even as adults. Baillargeon and DeVos (1991) conducted a study to test Piaget's theory that object permanence is not achieved until the end of the Sensorimotor stage - or about two years of age. Their findings indicated that infants as young as three and half months had some understanding of this concept. It was also discovered that some children displayed object permanence when an adult was not present, leading to the idea that perhaps a parent, caregiver, or researcher may be a distraction, particularly to younger children/infants. Other research has also shown that 4 - 5 year old children have the ability to consider more than one perspective and are able to see things from other people's points of view. In fact, some experts argue that Piaget was giving too many options which would overwhelm the children. When the number of perspectives were limited to two, young children could process and understand these viewpoints. In other words, young children are not quite as egocentric as Piaget thought. Researchers Rose and Bland (1974) believed that many of Piaget's conclusions were manipulated because he gave too many verbal cues that would influence the outcomes of his experiments. 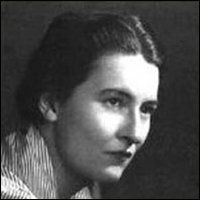 So, Piaget's cognitive stages of development may not be as distinct as once thought. In fact, some children can actually be in more than one stage at a time. Piaget suggested that the stages themselves acted as building blocks to cognitive thought and one stage could not be entered until the previous one was completed. However, recent research has challenged this idea. While experts do believe that concepts must be constructed with one level of understanding being built upon the foundation of another, they point out that it is possible for a child to be in the concrete operational stage while still being egocentric. Likewise, a child in the pre-operational stage may have achieved class-inclusion (a concrete operational function) but will not have the ability to see multiple points of view. Piaget's theories changed the way parents viewed their children and set the foundation for much of today's educational principles. However, more recent research has shown that, although much of what he proposed was correct, many of his ideas need to be given more flexibility. Children do seem to develop in stages, but his "universal" approach does not allow for individuality and often places more emphasis on biological or "genetic" factors rather than environmental influences. Piaget published several books that outline his theory and focus on his belief that cognitive development is linked to biological development. ... all cover Piaget's basic theIf you want a deeper understanding of Piaget's theories and the impact he had on the field of child development, perhaps the best book to read is The Psychology of the Child (1972). The Psychology of the Child is a summary of years of study and observation and puts all of Piaget's findings together in one manual. While it is not as detailed as reading all his previous books individually, it does trace each stage of cognitive development and discusses fundamental concepts such as the construction of reality, development of perception, the use of symbolism, language, and formal thought. For an overview of the stages of cognitive development and a fairly detailed summary of Piaget's work, this is the book to read. And, Piaget endeavored to present this information in a way that is easy to understand so you won't need a degree in psychology! 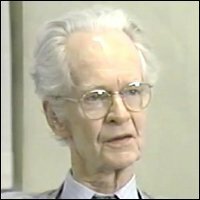 In this film by made Jean Piaget he, among other things, tries to explain his position as a genetic epistemologist and thereby tries to counter some of the critical points academics have made in relation to his theories. While Jean Piaget has been criticized, he has also been recognized as one of the most influential experts in the field of child development. His theories laid the foundation for much future study and brought a more humanistic approach to parenting. He published several books and articles, and his findings are among the most cited in history. 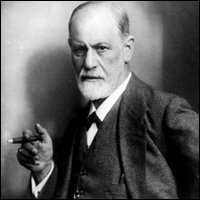 His contributions to psychology have been immeasurable, with the most prominent being his stages of cognitive development. As a child grows and becomes more mature (or develops more schemas), he becomes less egocentric and is able to see things from other points of view. With cognitive growth comes the ability to perceive the world differently which leads to a greater willingness to create new schemas - or to accommodate rather than simply assimilate new information into existing schemas. The final stage of cognitive development is formal thought, or the ability to think abstractly. This is achieved when a person is able to construct new schemas without physical evidence, or is able to think beyond their "reality ".